The Success Principles | Jack Canfield – Official Site: POWERFUL Principles Guaranteed to Give You Everything You Want out of Life! Discover 67 of the World’s Most POWERFUL Principles Guaranteed to Give You Everything You Want out of Life! In this special 10th Anniversary Edition, Jack Canfield turns to the principles he’s studied, taught, and lived for more than forty years in this practical and inspiring guide that will help any aspiring person get from where they are to where they want to be. The Success Principles™ will teach you how to increase your confidence, tackle daily challenges, live with passion and purpose, and realize all your ambitions. Not merely a collection of good ideas, this book spells out the 67 timeless principles and practices used by the world’s most successful men and women—proven principles and strategies that can be adapted for your own life, whether you want to be the best salesperson in your company, become a leading architect, score top grades in school, lose weight, buy your dream home, make millions, or just get back in the job market. Order the book. Your 30-Day Journey From Where Your Are to Where You Want to Be – Complete with Daily Mentoring and Lessons with Jack! Wouldn’t it be great if life came with an instruction manual? That way, you wouldn’t have to guess how to become highly successful. You’d simply take the goal, issue or pressing problem you were faced with… pinpoint the principle that solved it… use a simple exercise to apply the principle… and watch a compelling life unfold before you. Master Jack’s proven system for success and achieve your biggest goals faster than you ever thought possible. Every year Jack meets with students from all over the world at a beautiful resort hotel to master his proven system for success. With his personal guidance you’ll discover your life purpose, prioritize your goals, and discover the proven steps to achieving anything you want. You’ll identify and remove any fears and limiting beliefs that are stopping you, get clear on what we really want from life and create an action plan and the support system you need to make it happen. Each year, the epiphanies and transformations participants receive at this event are truly profound. If you’d like to meet Jack and work with him in person to experience amazing breakthroughs in your life, learn more here. Join the ranks of the next generation of human potential trainers! 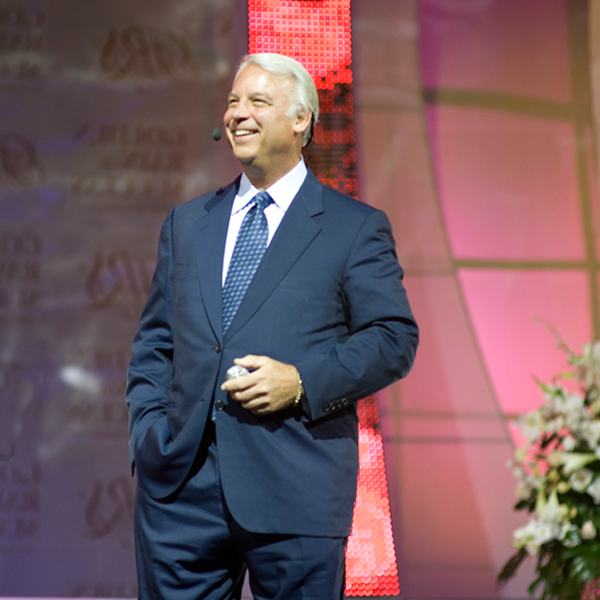 Jack Canfield’s Train the Trainer program is a professional development program where Jack personally trains and coaches you to become CERTIFIED to teach the Success Principles. Using the “Canfield Methodology” of learning and growth, you will become certified to speak to any company, any individual, any organization, anywhere in the world. You’ll get a complete system of curriculum, facilitator guides, seminar and workshop designs, handouts – and the training you need – to become a highly effective trainer and presenter when teaching these powerful Success Principles to others. As the beloved originator of the Chicken Soup for the Soul® series, he created a billion-dollar brand with more than 200 titles, including 60 New York Times bestsellers, and more than 500 copies in print in 50 languages around the world. Known as America’s #1 Success Coach, Jack has appeared on more than 1,000 radio and television programs including The Oprah Winfrey Show, Montel, Larry King Live, and the Today show. He is a Harvard graduate with a Master’s Degree in psychological education, the Founder and Chairman of The Canﬁeld Training Group in Santa Barbara, California. MEET THE COAUTHOR: Janet Switzer is a 25-year veteran of generating revenue for small businesses, including many of the world’s top celebrity entrepreneurs. 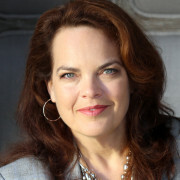 She’s the #1 bestselling author of Instant Income: Strategies That Bring in the Cash for Small Businesses, Innovative Employees and Occasional Entrepreneurs from McGraw-Hill Publishers. As well, she’s the New York Times bestselling co-author of The Success Principles: How to Get From Where You Are to Where You Want to Be, published in 30 languages. Her books, newsletters and training courses are used by businesspeople in more than 80 countries—spanning dozens of diverse industries and virtually every business category. THE BEST SYSTEM FOR ACHIEVING ANYTHING YOU WANT! 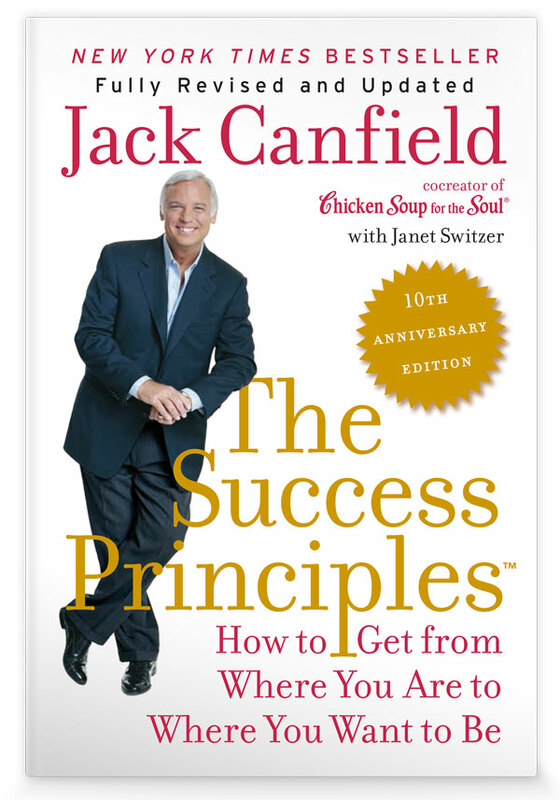 Order your copy of the 10th Anniversary Edition of The Success Principles and get Jack’s Kick-Start Training Pack— YOURS FREE! Copyright © 2018 Self Esteem Seminars, L.P. All rights reserved.